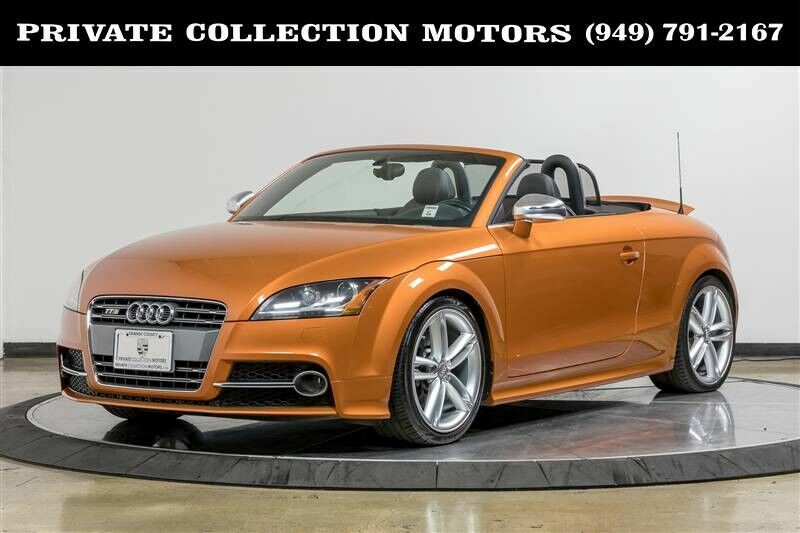 This 2013 Audi TTS is finished in Samoa Orange Metallic with a black leather interior that is contrasted by white stitching throughout the cabin. This car has a clean Carfax and only two previous owners. With 28,662 miles this Audi TTS shows little wear and is in great condition. The all-wheel drive TTS gives you the freedom to put the top down and cruise down the road in style. The inline-4 turbocharged engine can get you to where you need to go in no time by pushing 265 horsepower to all four wheels. This car can be a weekend warrior or daily driver, its up to you. Either way you will enjoy this low mile convertible that youll find has a lot to offer. Let our 100% eBay feedback speak for our cars and sales staff. We welcome pre purchase inspections and trade ins too. We can help arrange shipping to anywhere in the US. For more information please contact our experienced sales team at 949-791-2167. We look forward to hearing from you.